The day two of the People Matters TechHR Conference will discuss how innovation can be utilized to reinvent skill sets and build future-ready organizations. Read on to know more about some of the top sessions. An AI chatbot to solve employees’ day to day queries, a robot to understand employees’ emotions and sentiments and a robot to screen resumes and schedule interviews- the world of work has moved ahead and evolved. Innovation, today, is what sets one business from another. And who drives this innovation for a company? It is the employees and leaders, the people who form the organization. 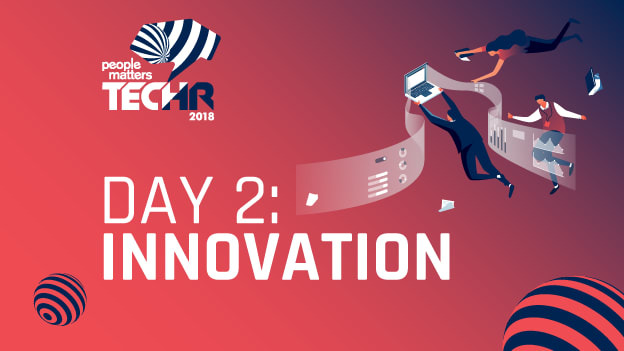 To understand how innovation can be utilized to reinvent skill sets and build future-ready organizations, People Matters TechHR 2018 Conference on Day 2 will focus on the theme ‘innovation’ and drive all discussions around it. With business changing so rapidly it is imperative for leaders and professionals across domains, sectors and regions to up their game and build innovative strategies to keep up with the fast pace. Whether it is dealing with the new generation or managing the gig economy or out thinking the entire work experience, the leaders today are trying to find new ways of approaching these challenges. Through various sessions, panel discussions and master classes, thought leaders like Josh Bersin, Founder of Bersin by Deloitte and William Tincup, President, RecruitingDaily will provide solutions to these challenges and share new ideas to drive innovation. 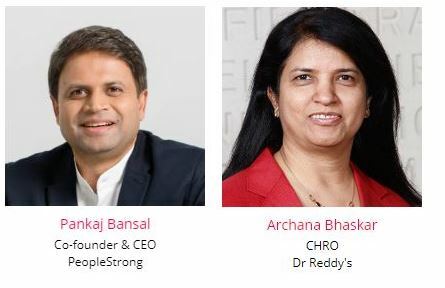 The day will start from a keynote by thought Leader Josh Bersin, Founder of Bersin by Deloitte and close with a panel discussion including leaders like Archana Bhaskar, CHRO, Dr Reddy's and Pankaj Bansal, Co-Founder & CEO, PeopleStrong. 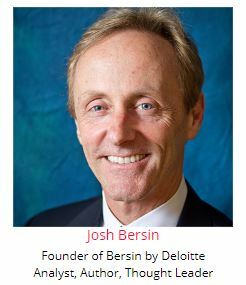 In this research-based presentation, Josh Bersin, industry analyst and founder of Bersin™ by Deloitte will share how a new generation of recruiting, management, learning, career, and employee experience tools are radically changing the marketplace. He will also explain the “New Architecture” for HR technology, and unravel how it will help organizations in building the right HR and management platform. CEOs like Sairee Chahal, Founder & CEO, Sheroes; Deepak Garg, CEO, Rivigo; Amit Singh, Co-founder and CEO, Shuttl and Ester Martinez, CEO & Editor-in-Chief, People Matters Media will talk about their talent experiments and share their views on paradigms that need to be broken. They will throw more light on the CEO's new mandates and discuss newer talent strategies that businesses are implementing for ensuring continuous innovation. 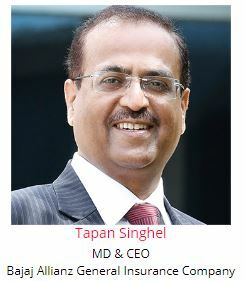 Tapan Singhel, MD & CEO, Bajaj Allianz General Insurance Company will share the story of his company on leveraging innovation to go beyond the one size fits all approach in the era of digitization. Innovation is often confused to be only about technology. 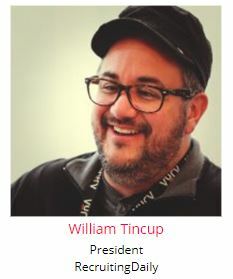 William Tincup, President, RecruitingDaily will demystify the term innovation and shed more light on the concept. In this session, he will share a holistic approach to defining innovation - from auditing and refining to adding killer tech. Open or Close: What’s the future you’d choose? Would you prefer a technology ecosystem with a seamless flow of information and data across platforms? Or in the context of regulations, data privacy and other constraints, prefer a closed technology ecosystem in the future? While some believe that competition makes you faster and collaboration makes you better, others could think otherwise. In the closing session of Day 2 of the conference, leading technology and HR leaders will share their views on moving to a truly connected ecosystem. Through a power-packed discussion Archana Bhaskar, CHRO, Dr Reddy's; and Pankaj Bansal, Co-Founder & CEO, PeopleStrong will help in creating a blueprint of the path ahead. Meet these speakers and many more at TechHR 2018. Click here to register for TechHR2018 and be a part of the learning journey.